1Password 7 Review – If you have been using the same logins and passwords for every website you visit frequently, then you need to stay a while and listen. While the idea of having to enter complicated passwords that only you can remember is great, if someone is able to get a hold of your golden password, you are screwed. Once a website is hacked and its user credentials stolen, you are highly vulnerable at all fronts. This is why 1Password, a secure password manager, is a must have. It encourages you to have different account credentials on different web services, and offers you easier yet secure access to login. I have been using the older 1Password 4 for a number of years and the latest version proves to be better in a number of ways. Note that I am using the subscription model at the moment. For a start, it’s more modern looking compared to the older 1Password. While I vouched for 1Password because of its functionalities, having a beautiful app and interface is definitely a plus to have. In the most simplest term, 1Password 7 is a pleasant to use and fast. 1Password 7 can be accessed via a web browser extension, a Windows/Mac software, or a mobile app (both iOS and Android). The iOS app supports FaceID and more importantly, Password AutoFill in iOS 12. This means that you do not need to use the iCloud Keychain as you can let iOS grabs your login credentials at 1Password natively through the API. Multiple vaults are supported which let you create different vaults containing username and passwords for different businesses or sections of your life. This is useful if you need to share account credentials with co-workers or family members. This way, you can have a separate, personal vault of your own and some shared vaults with different groups of people if needed. I personally like how easy it is now to login using 1Password 7. 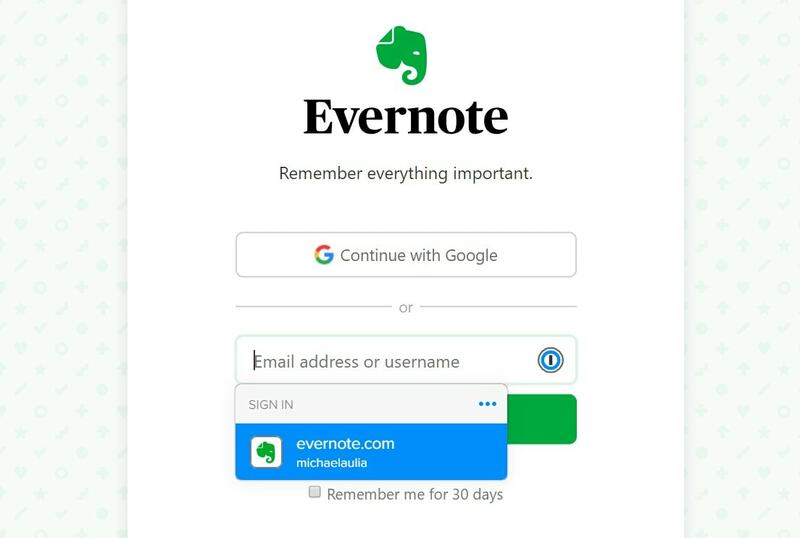 A mini pop-up window automatically comes up when the extension recognises the site you are in and suggests the username/password right away. Simply clicking on an entry will let 1Password extension fill the username/password for you. If you have more than one account, 1Password will list them in multiple lines. Sure, you can still stick with 1Password 4 if you wish, but I find paying $2-3 for the new version is worth every penny. 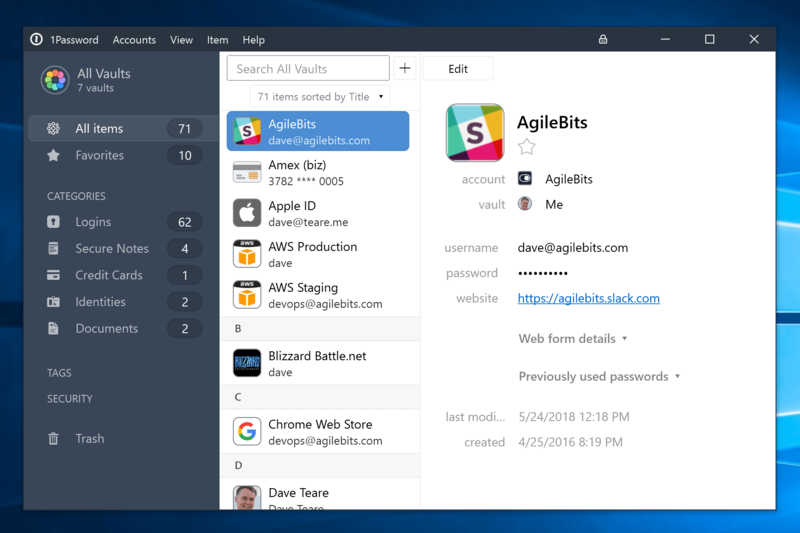 Besides, the team will keep on improving in terms of performance, features, and plug any security holes if there are any (compared to 1Password 4 that they are not maintaining anymore). 1Password is definitely one of the best password managers around. It’s simple to use, secure, and with the latest 1Password 7, a pleasant to look at. With strong password suggestions whenever you have to create a login and letting 1Password remembers this for you, you’ll be safer on the net. And even when a site is hacked and your account has been compromised, your other accounts will be safe because 1Password encourages you to have different, complex passwords for different web services. You can also add secure notes and credit card details in 1Password, and let 1Password fills the card details when you are making a purchase. It saves you from having to take your wallet out each time and enter the numbers manually. Apart from Netflix, 1Password is definitely recommended to be added into your monthly subscription services list.